Greater Cochin Development Authority and the State Government are under legal obligation to hand over Jawaharlal Nehru International Stadium exclusively to FIFA for their use during the FIFA U 17 World Cup at Kochi. This has been challenged by many shop owners around the Stadium. They have moved Kerala High Court challenging GCDA’s order to keep their shops shut during the period of the event.The case is to be heard in the court today, 16th Sept. 17. FIFA, the world body of Football had insisted that all shops around the stadium should be shut down at least 10 days before the FIFA U-17 World Cup championship starts. The shops are to remain shut for the entire period of the event. This forms a part of the agreement signed between FIFA and the State Government & GCDA. FIFA has indicated that if the agreed terms are not fulfilled, it will be forced to remove Kochi as a venue for the championship. It has also indicated that Kochi may also loose chances to host any Football international events in the future. 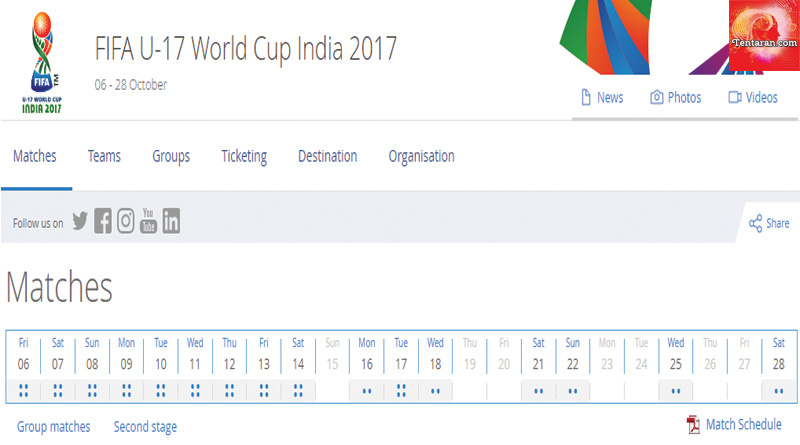 Under-17 World Cup is the first ever FIFA event India is hosting. The tournament would be played in India from October 6 till October 28 in Delhi, Mumbai, Kolkata, Guwahati, Kochi and Goa. FIFA refused to allow an opening ceremony for the event as it wants that the Government should rather spend that money on the game than an elaborate opening ceremony. The closing ceremony will be held at the Salt Lake Stadium on October 28, 2017. With millions of fans all over India, this event is going to be a huge success. Buy your tickets well in advance to avoid disappointment of watching your favourite teams playing.